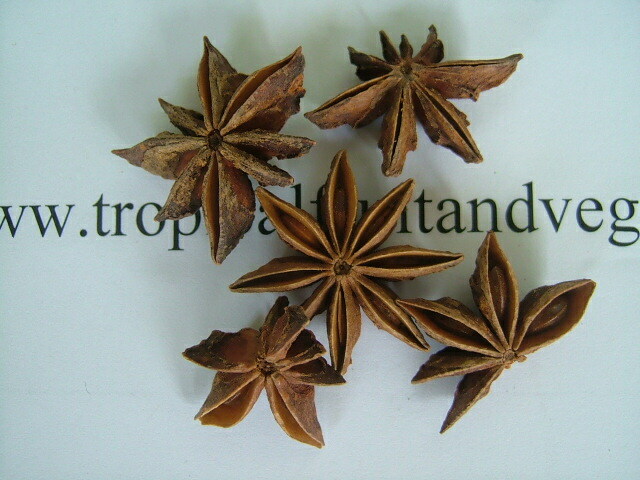 The star anise tree is a small to medium, grows to 5 m, rounded, evergreen tree with glossy foliage. Flowers are small and greenish white to pink or purple with a central boss of stamens which are followed by aromatic seed pods that open out into a star shape when ripe. The essential oil and the ground spice, star anise, are extracted from the brown pods and the seeds. Will grow well both in full sun or part shade. Does best in very well in light, well-drained moist soil.